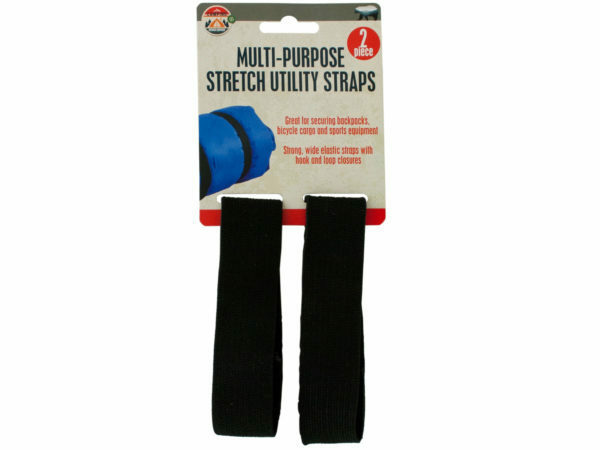 Great for securing backpacks, bicycle cargo and sports equipment, this 2-piece Multi-Purpose Stretch Utility Straps Set features strong, wide elastic straps with hook and loop closures. Straps measure approximately 12" long x 1.25" wide. Comes packaged to a hanging panel.